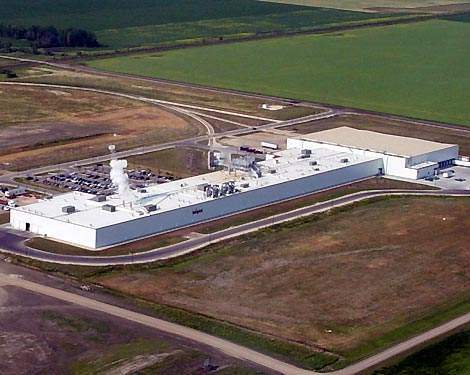 JR Simplot Company's new potato processing facility, Portage La Prairie, Manitoba, Canada. Simplot's potato processing plant on the Bluff Industrial Park site. Near completion of new plant, August 2002. Key Technology's ADR4 (automated defect removal) system in use in the new facility. Key Technology's ADR4 machine viewed from the in-feed side. 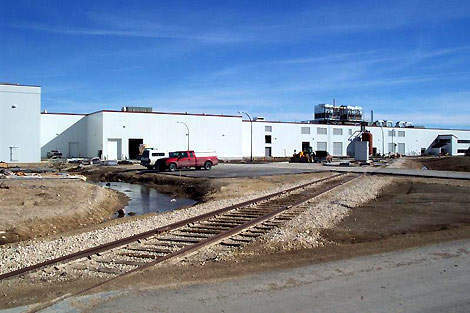 JR Simplot Company of Boise, Indiana, USA, opened a new potato processing plant in Portage La Prairie, Manitoba, Canada, in 2003. Work on the site and infrastructure was started in autumn of 2001; building work commenced in the first quarter of 2002. The plant, located on the Bluff Industrial Park, was completed and in production during June 2003. The official opening of the facility took place on 10 September 2003. The plant is a custom facility producing frozen French fries from freshly supplied raw potatoes. The new facility was built at the Portage La Prairie site because of its proximity to customers in eastern Canada and the USA, business incentives from provincial government and more economical prices from Canadian potato growers. The new facility required an investment of $120m from JR Simplot and employed 230 people in the first phase. The infrastructure requirements for the plant cost $21m for on-site and $15.45m for off-site improvements; some of this was borne by the provincial government through direct investment and through tax incentives. The contract for construction and engineering management was awarded to Fisher and Sons Inc (Burlington, Washington). 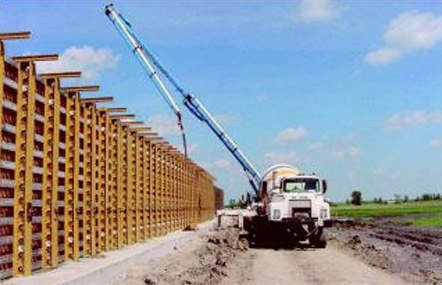 The building construction contract was awarded to Stuart Olson Construction (Calgary, Alberta). 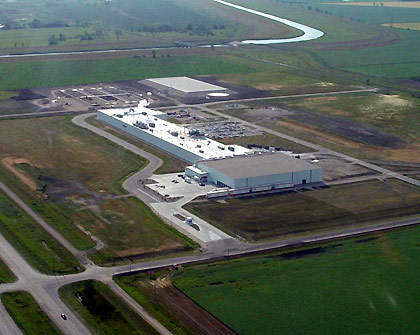 Key Technology (Walla Walla, Washington) was awarded a $5m contract to supply optical inspection, quality monitoring and material handling equipment for the new facility. Key Technology also supplied process automation equipment and advised in systems engineering of the plant layout and integration of their equipment. ADI Systems was contracted to provide the anaerobic digester and aeration tank on a design-build basis, and Donohue and Associates were the process engineering consultants for this part of the project. RL Scott and Associates were the providers of check weighing and metal detection equipment for the new facility. Ag World Support Systems (AWSS) provide inspection, validation and servicing support at the plant. The initial phase of construction was to build a single-storey 170,000ft² production building, which was equipped to process 300 million lb of potatoes per year. The second phase of construction, should market forces allow it, will be to expand the plant to twice the original floor area. The design of the first phase took into account the expansion by adopting a modular approach. 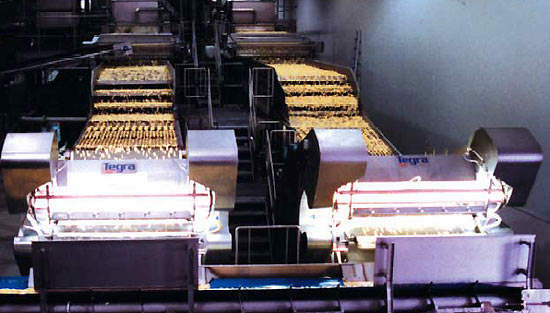 The plant runs a production line for potato strips incorporating the latest peeling, cutting, drying, blanching, individual quick-freezing and high-speed packaging technology. The new facility is the first potato processing plant in Canada to use an environmentally friendly biogas recovery and reuse system, which radically decreases greenhouse gas emissions from the plant and saves money on fuel costs. The biogas, which is predominantly methane, is produced by the BVF anaerobic–aerobic digester from semi-dry sludge wastes from the process of potato peeling. Wastewater from the plant is recycled via off-site water and sewerage facilities (paid for by provincial government CA$8.65m). The 20USgal × 106USgal (77,000m³) digester is designed to treat a maximum monthly flow and load of 9,900m²/day, 63,000kg/day Chemical Oxygen Demand (COD) and 18,000kg/day suspended solids. Assuming 90% COD removal, 130 × 106Btu/d of biogas energy is produced, enough to raise 5,400lb/h (59t/day) of steam in the process boiler. The anaerobic effluent is then sweetened by oxidation of sulphides in an aeration tank equipped with sub-surface aeration equipment. The sweetened effluent is then pumped through a 10km (six miles) force main to the city secondary treatment plant for polishing prior to discharge to the Assiniboine River. The equipment supplied by Key Technology included multiple units of the company’s Tegra and ADR4 (Automatic Defect Removal) optical inspection systems, an Optyx quality monitoring system and material handling equipment used for sizing, grading and conveying food product. All of the inspection systems are installed with Key Technology’s management software product, Key Data Manager, which allows process control through real-time quality analysis and feedback to the processing line. 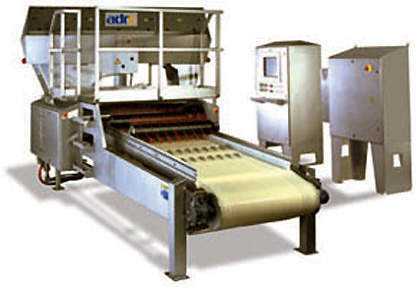 The ADR4 is the latest technology for defect removal in potato strips. The system can handle any thickness of product from shoe-string to steak cut fries. The defect removal process is carried out after the initial product preparation into strips. 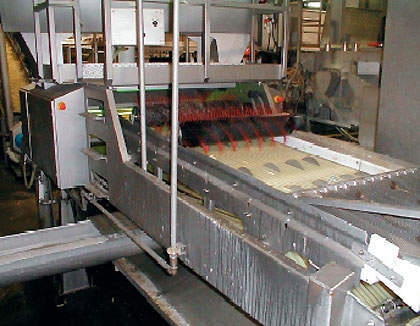 The potato strips are passed onto a conveyor belt, where high-resolution visible / infrared cameras pinpoint defects. The high-speed rotary cutter trims them to remove unwanted defects (oxidized and blackened areas). The Iso-Flo alignment shaker removes unwanted trimmings. The system is controlled by the Key Data Manager reporting module, which allows the system to be set up to produce almost any permutation of product. 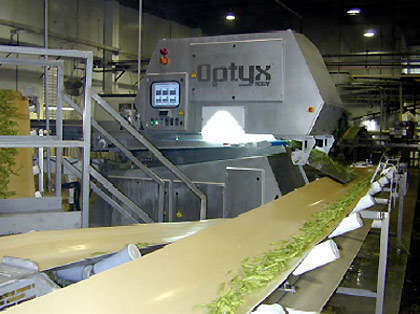 After defect removal, the Optyx sorter is employed in the line to standardise the potato strips, that is, to make them all the same length and give better consistency. The dimensions of the product are extremely important, particularly in the fast food industry (since the fries must fit the designated packaging when finally cooked). The system again works with high-resolution cameras and a conveyor belt system. 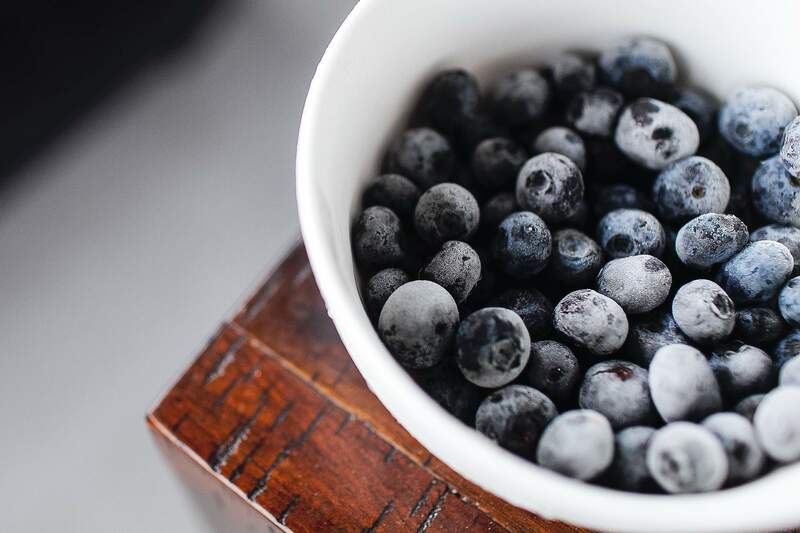 After this process, the fries pass to blanching, SAPP addition (chemical stabilisation with antioxidants for colour stability), drying and partial frying. The Tegra is another type of optical inspection system used in the Simplot Canada facility. This system uses the in-feed / conveyor belt to move the product through the system while a 360° imaging system with high-resolution monochromatic cameras detects the imperfections in the product. The system is integrated into the process line to remove defective potato strips missed out in the first sorting process by the ADR4. The defective strips are removed by the IntelliSort ejection system that consists of 256 ejector modules powered by compressed air, which remove any defective potato strips in a response time of less that a second after the camera detects them. POWER Engineers provided electrical engineering for the facility. This included the design of a 10MVA substation; medium voltage electrical distribution and 480V motor control system; and process and packaging engineering for the processing line, plant utility systems and instrumentation throughout the entire facility. The overall packaging system included all equipment and instrumentation required for putting product into bags, placing the bags into a case, and palletising the cases for shipping. The design consisted of a dual bay substation using arc-resistant metal-clad switchgear for secondary feeder distribution, 5kV soft-start motor control for ammonia refrigeration compressors, indoor 5kV/600V secondary unit substations, and 600V motor control incorporating device-net bus communication technology to a hybrid DCS plant control system. A complete network, using Device NET, connects all of the plant Motor Control Centres (MCC), including individual MCC buckets and all electronic variable frequency drives in the system. The Device NET system allows remote, online monitoring of all of the various parameters for the motors directly from the plant’s central control system. This system controls and monitors every motor, sensor, and instrument in the plant. This is the first potato processing plant to incorporate a DCS control system (Delta V) that integrates all instrumentation, controls, and electrical motor controls into a single system. The packaging project included frozen raw product handling and grading, combination scales, distribution system, vertical form, fill and seal baggers, metal detection, case packing, case erecting, case settling, case sealing, reject stations, palletising and stretch wrapping. The new palletising system incorporated a pair of Alvey 880 palletisers with pallet dispensers, slip-sheet and tier sheer dispensers. 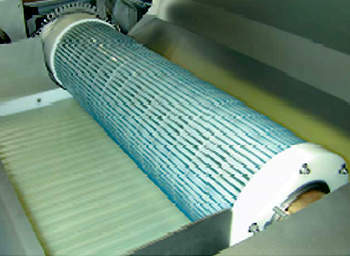 A zero-backpressure accumulation conveyor was installed to allow for the time required during a full pallet exchange. The JR Simplot Company is a privately held agribusiness corporation based in Boise, ID. It employs more than 12,000 people in the USA, Canada, China, Mexico, Chile and Australia. 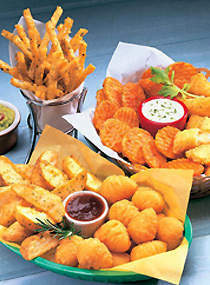 Simplot is one of the world’s largest frozen potato processors, annually turning out 3 billion lb of French fries and other potato products. The company is the main supplier of French fries to McDonald’s worldwide.